Systematically covering the technology of adsorption refrigeration, this book provides readers with a technical understanding of the topic as well as detailed information on the state-of-the-art from leading researchers in the field. 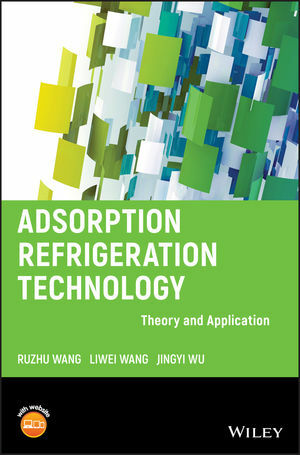 Introducing readers to background on the development of adsorption refrigeration, the authors also cover the development of adsorbents, various thermodynamic theories, the design of adsorption systems and adsorption refrigeration cycles. The book guides readers through the research process, covering key aspects such as: the principle of adsorption refrigeration; choosing adsorbents according to different characteristics; thermodynamic equations; methods for the design of heat exchangers for adsorbers; and the advanced adsorption cycles needed. It is also valuable as a reference for professionals working in these areas. Academics researching low grade energy utilization and refrigeration; Graduate students of refrigeration and low grade energy utilization; Experienced engineers wanting to renew knowledge of adsorption technology,Engineers working at companies developing adsorption chillers; Graduate students working on thermally driven systems; Advanced undergraduates for the Refrigeration Principle as a part of thermal driven refrigeration technology.